Achillea Succobene orange juice is made from 100% orange juice, with no added sugars. 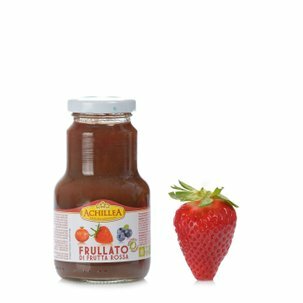 The taste is the authentic flavour of the fruit itself, with its sweeter tones emanating from the sugars naturally occurring in the fruit harvested at peak ripeness. Achillea orange juice thus brings you the fruit at its best, so that you can benefit from all the goodness of oranges, which, as well as being rich invitamin C and mineral salts and a precious ally to the immune system, also enhance the assimilation of iron. Drink chilled to enjoy the taste of the fruit just as it is when freshly crushed, at any time of the day. Also excellent as a regenerative drink after exercise. 0.75l size – handy at all times.